TOWSON – The Institute of Notre Dame’s “A” game was too much for Mercy High School. The Penguins rolled over their traditional rival, 69-27, in the 53rd installment of their showcase basketball game Feb. 1 at Towson University’s SECU Arena. IND scored the game’s first 11 points, and its 10 threes accounted for more points than Mercy’s total. 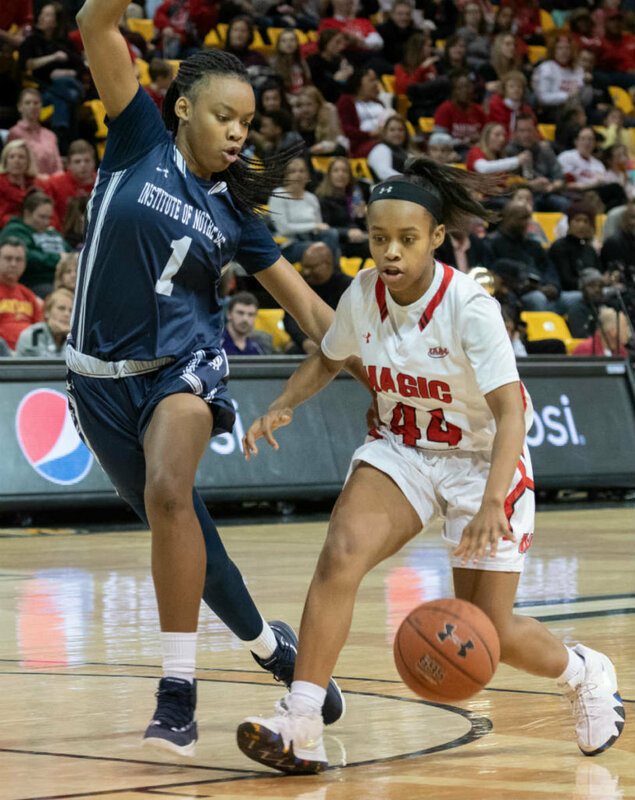 The outcome was to be expected, as the Penguins are literally playing in a different league than the Magic this season after moving up to the Interscholastic Athletic Association of Maryland A Conference. Playing against the likes of defending three-time champion St. Frances Academy, the Penguins are 7-11 overall and 4-7 in conference play, a pressure cooker that certainly prepared them for the intensity of “The Big Game,” which drew its typical crowd of several thousand despite cold and snow that had closed schools early. It’s also been an adjustment for coach Robert DuBose. 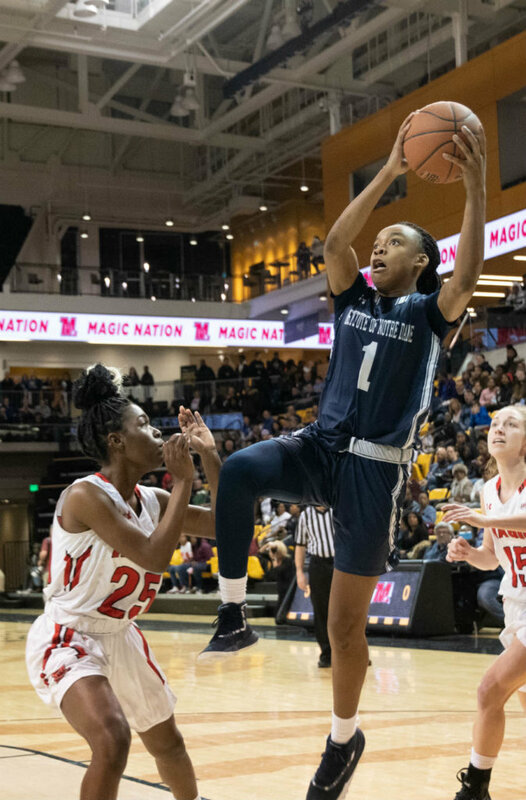 A year ago, Eniya Russell appeared rattled in her first appearance in “The Big Game,” as the crowd included coach Brenda Frese of Maryland, among the many major-college programs recruiting her. Now a junior, the 5-foot-10-inch do-it-all wing dropped a game-high 21 points on the Magic. Her new running mates include AAU teammate Ajae Petty, a 6-1 transfer from New Town High School who had IND’s first five points and finished with 13. Smith added 11 points, including a pair of three-pointers, as she was one of seven Penguins to connect from beyond the arc against Mercy’s collapsing zone. “That’s the best-shooting game we’ve had from the perimeter this season,” DuBose said. Junior Channell Henson led Mercy, which dropped to 3-12 overall and is 1-7 in the B Conference, with 11 points. After a five-year absence, Mary Ella Marion is back coaching the Magic, and the school’s dean of students basked in the pre-game trappings of one of the Archdiocese of Baltimore’s unique traditions. The National Anthem was sung by a combined select choir. It included Mercy seniors Sara Coffman and Mary Huebler, in their basketball warm-ups, and was directed by IND senior Destiny Bell, director of equity and inclusion for wINDows, the student newspaper. First came a prayer, composed and offered by Rebecca Hogg, Mercy’s director of mission and ministry, and a member of its class of 1989. It referenced both the participants and the religious women who founded the two all-girls institutions, the Sisters of Mercy and the School Sisters of Notre Dame. The crowd ranged from infants in sleepers to girls from St. Ursula Parish in Parkville sporting their CYO jerseys, to Dan Popera, the former Archbishop Curley High School coach who was cheering on his granddaughter, Bailey Krahl, Mercy ’20. Mercy won the alumnae giving challenge, with halftime including president Mary Beth Lennon announcing pledges of more than $12,400. 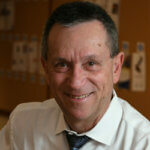 Christine Szala, IND head of school, announced that it had raised $8,600 on its end.